The ITV Player is one of the most popular on demand players in the UK for catching up on TV that you missed either online via desktop or usually using the ITV Player mobile app when coming home from work. On occasion though, there can sometimes be ITV player problems when you can’t log into ITV player. When this happens, you can use this page to let us know when ITV Player is not working in your area on desktop or the mobile app. 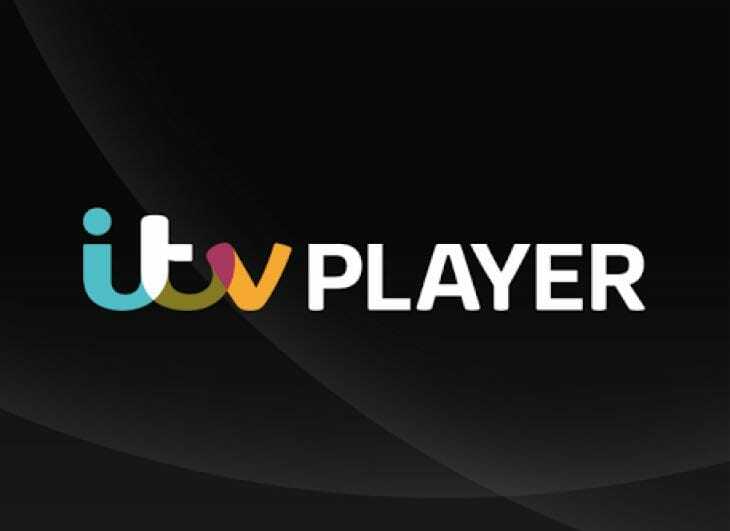 Is ITV Player down on Saturday April 20, 2019? Let us know if the ITV Player is not working on Samsung Smart TVs, or on other platforms such as iPad, Android and FreeSat. We’ll update you here when there is an official ITV Player outage going on, so participate in the discussion section below and keep checking back. ITV player app working fine but I would prefer to watch on laptop. It loads page on laptop but no play button appears like normal so I can’t play it. I’ve tried what the ITV website suggests to help, including clearing my cache, cookies, different browsers and even restarted and updated my laptop. Still the same whichever browser I use, no play button appearing. It’s frustrating when I want to catch up on programmes. Astonishing and disappointing that ITV haven’t fixed this yet. Gets to the end of the Domino’s add and then switches the TV off! This is on a Toshiba smart TV. Not working on my laptop in any browser! Not worked on my Firestick in weeks!. App Loads and I can select a program, it goes to start then crashes out the App to main screen. Sticks been reset and cache cleared App uninstalled / reinstalled still same problem. All other apps working fine. Getting fed up with it now. not working with chrome browser. i am able to watch in edge browser. requesting reset password. no email is sent to reset. setting up new acc. no email is sent to activate. all issues are with the chrome browser. Itv player not working on Sony Bravia. Working ok Monday 18th March 2019 but not Tuesday 19th March 2019. Reset a couple of times with confirmation code, player loads you can select episode which loads but won’t play. It sticks on zero seconds! The Show is not currently available. Please try again i a few minutes…. Can’t log on using FVP-500T get whoops message.Looking at Humax forum this as been going on since last year at least.What’s going on ITV. My ITV Hub keeps going down and I have to reconnect very often, why is this happening? I have the same issues as listed below with cold feet, adverts at beginning play, but then screen goes black. any fixes please? I’ve got this issue. I can watch the current series of Cold Feet on my computer but not on TV, even though I can play every thing else on TV including the last series of Cold Feet ! Experiencing the same issue as many others: episode 1 of cleaning up is crashing right after the Doninoes advert. We have a samsung 4K smart tv. Thank you for fixing this issue soon! Crashes my tv every time we try to watch episode 1 of cleaning up. Get the dominos advert and then my screen goes black with the itv logo in the corner. Watching via Freeview Play on Samsung TV. Crashes my tv every time o try to watch a show. Get the dominos advert and then my screen goes black. Watching via Freeview Play on TV. Unable to watch anything on ITV hub on my Hitachi smart tv, goes back to tv after playing advert. Annoyed as only just bought TV all other apps working fine. ITV hub is terrible, unable to watch Cleaning Up episode 1. Black screen with ITV in the corner. Terrible. BBC Iplayer is much better. Reported it. Apparently the team are ‘on it’. I won’t hold my breath!! Episode 2 works!!!! My itv player hasn’t been working on my Freesat since the beginning of December. I spoke to itv and Humax at the time who both assured me this would be fixed before Christmas. All the other on demand channels work, it is only itv which is not working, although it works on my laptop. Do we know when this will be fixed? Not working again (since yesterday PM) blank white screen – my only surprise is that it has been working for quite a few weeks without incident! Itv hub not working. All other apps are fine but itv plays ads then switches the tv off.why? Same here been like it for past 2 days. It’s been like it for weeks, is there anything we can do or speak customer services? Please remember that you haven’t yet told us your postcode which means you won’t be able to view all ITV programs. Below this there are 3 grey boxes. GOT IT DON’T SHOW ME AGAIN. The only way to get past this on my SAMSUNG Smart TV is to go back to the Smart hub. Mine too. Have you found a way around it yet?? Thanks in advance. I can access the hub but it will not allow me to play any videos. It comes to a screen that tells me there is a problem and then when I press ok it just returns to the same page. I’ve tried the itv help which er doesn’t. My TV is a Sony Bravia 50 inch. Any help would be appreciated. PS The problem first occurred on Friday 7th Dec 2018 at 9pm. I think they fixed their website hub is working again as of this morning yeah….. I can use ITV hub on my iphone, but desktop machine won’t work. It just keeps asking me for my postcode over and over again. can get live tv on itv but cannot play any catch up programmes. Is it me (my table) or is it ITV hub ? I’ve cleared cache, cookies, history etc etc. Logged out . logged back in. Verified my email account. Restarted my laptop.and checked my browsers are up to date etc. I’m exhuasted and frustrated now after 2 days of this. Can someone out there advise. I think it must be the hub Alison. The app on my ipad has been dreadful for the last few days, whereas BBC, All 4 etc all work fine. i login to ITV on my Mac book, then select a show to watch and then it returns to the login page!! It’s been 5 days now with the same message on ITV Player “Sorry, this video isn’t available right now…â€¦â€¦â€¦..” every program the same message. Same here works for awhile then I get this “we’re sorry something went wrong 001” been doing it for ages. ITV hub just keeps switching my Toshiba TV off. All other catch-up apps working fine. Two days now and ITV hub will not work on ipad, iphone and apple tv. ITV Player is not working on my Windows 10 desktop pc, my iPad, or my android phone! I’ve signed into Itv player using chrome and upgraded to hub+ but I cannot watch any pre recorded programmes. ITV app on Amazon Firestick buffering after few secondsâ€™ viewing whereas Netflix etc works fine. Very annoying! I can’t watch itv hun. Keeps asking me to log in. So I log in and pair my tv then it takes me right back to a log on screen to log on again. Very annoying! what is the point of asking if we ve got any problems then ignoring us? no itv player on amazon firestick at all today.not the first time in recent weeks.what is the problem?never get this with other catch up providers. we are in york,uk. ITV hub not working on Samsung smart tv. White page comes up with 404 not found and nginx/1.14.014.0 Tuesday 28th August 2018. Everything else working fine. Cannot get ITV player to load today (25th Aug 2018) yet BBC iplayer and Channel 4 are fine. ITV won’t work on my Amazon Firebox (Panasonic TV) and didn’t yesterday either. Today the it hub would not work on my Samsung phone.and also I could not download the App on my new Tablet. What is the problem. ITV hub won’t load any video on Panasonic Viera TV that is less than 6 months old. BBC iplayer works and I used to think that was rubbish until I encountered itv hub. lg oled – keeps asking to sign in, you sign in and guess what keeps asking for sign FFS lets find something better on BBC!!! Itv catchup on Now Tv not working . I use this all the time to catch up on my daily soaps etc So annoying! Just says Ooopps somethings gone wrong We are working on it! Canâ€™t get itv on now tv, error message says whoops somethingâ€™s gone wrong, we are working on it, been like it for two days now. for last 3 days. Hopeless!! Tv catch up not working here neither…Is this due to the football or something? I seem to have started having the problem just when the football started. Just been catching up with programmes, and now cant watch no more, as its not working. Tried signing in, but it wont allow it…. ITV player buffers for about 30 seconds every 15 seconds of play. Has been doing this for 3 days now..
for the last 4 days a TV in the bedroom does not connect to ITV Hub at all you can resign in as many times as you want but you still cannot get in to watch catch up. We have just come back from abroad and my wife wants to catch up Corrie but it just wont sign in. Samsung smart tv (10 months old) based in Essex. It gives a code to log in on the internet but when you go to the page then there is nothing there to use the code with just a page asking you to sign up again, how many bloody times do you have to do this. Unable to watch itv player for the past few days. What’s going on and when can I expect it to return. It’s always been troublesome when the ads come on but eventually I get it going again. I click on a programme and the screen just turns white. ItV catch up not working on my samsung smart tv, whats going on??? ITV Hub not working stopped half way through programme and cannot sign in . ITV hub not working again!!!!!!!! Thursday Morning and all is well. Both PC and Samsung television now working. I have the app on my television. Until now I have been able to watch catch-up TV without a problem. Now when I go to the app it asks me to sign in on my computer. I did this this morning and it doesn’t recognise my password. What’s going on. I don’t need or want the add free subscription just catch-up. Update, now working on PC, but no joy on Samsung TV. No joy on either Samsung TV or Desk top PC. have tried to reset password, but promised email with new PW never arrives. What the FU.. is going on. Not been working here fot 4 days on my samsung and not available on my LG. Really p….d off missing corrie. Same here! Fine on tablet and phone not working on TV, asks to input code but then does not allow you to do so. So frustrating! I tried that.. but it kept telling me ‘please enter a valid email address’ for my alternative…and it bloody well is valid!! My last resort is to watch it on my android – it works fine there! But how long is this issue going to last??? Itv player on firestick not working so annoying for weeks now … I want to .come on in. But itv will not let me.. I goto the website to pair.sign in and all I get is an itv server error message… no help offered just error message rediculous itv! Itv not working on firestick !! Will the problem get fixed ? My itv hub won’t sign in on Samsung smart tv either. Not since Friday. Very annoying. When I try to watch on the itv website it keeps saying “Oops it looks as if there’s a problem. Please refresh your page or refer to the ITV help hub.” Which is not very helpful. same issue on my firestick, anyone have any answers yet? ITV still not working on Amazon Firestick / Samsung TV – so frustrating – when will it be fixed? There seems to be no updates letting people know what is going on. My ITV hub on my Samsung smart TV isn’t letting me watch any programs. prompts to go to a web page with a code but the web page says error. My itv hub not working today on my samsung smart tv ,Was ok yesterday now its asking me to put a code in seems like everyone having problems. Anyone else having serious problems with ITV Player not working right now? Let us know if you can’t watch anything! Yes, I can’t get mine to work either. As others have said it asks for a code but does not allow you to input this anywhere? Very frustrating! Can’t sign in on my Samsung Smart TV on Thursday 24th of May either. It’s been like that for the past 2 days . This is very frustrating. I can’t sign in on Samsung smart tv, get error as soon as I select sign in. Worked fine yesterday Tues 22nd but not today Wed 23rd. Basically I go into hub just fine, then select programme and it is when I try and go into an individual episode that it blocks me. I never actually sign in. I just go straight in to the itv hub as I do with BBC iPlayer. Stopped working today. Not used it for 2 weeks but did update system software to android 8.0. Phone is Honor 7x. Not working on my Huawei p20 pro – shows loading screen then cuts to homescreen. Please fix! Itv player opens and immediately closes on my honor 9 phone. Been doing it for about a week. Have uninstalled app and reinstalled. Makes no difference. I want to wtch Corrie! Hope it gets fixed soon! Not working on my Samsung TV, neither is 4 or 5. iPlayer works fine as do UTube etc. Sick and tired of this now. Is there anyway I can return to the previous version? ITV hub hasn’t worked for around 3 days now, shows the loading opening screen and then cuts back to the phones app screen? I have been unable to access the ITV catch up player for over a month now, but fortunately, everything is fine when I watch on my laptop live…Hope the catch up player is fixed soon! ITV hub not working again, it’s been down now for 4 days .just when I need it the most as I’m on holiday. Anyone no why? Itv hub app on android not loading for a week. All other apps fine bar channel4 app. Became an ITV hub subscriber on All Fools Day since when none of the programs I downloaded onto the ipad have been accessible off-line – while the All4 app works fine and costs nothing. Ok I have an android box weird to learn it’s working has there been an update, I usually see a motion of the live footage before I got the play button, however it’s frozen, I hit play and it’s frozen no motion no sound, it is Friday the 6th April I will have to give them a call for update, like others I am having problems, however I don’t get VPN if you are a licence payer like myself I see no reason to use a VPN or maybe you might be ex pats in another case, anyhow I use my speedy internet and it frozen on an android box catch-up works though I have had this problem before any ideas folks anyone spoken to the hub helpline? Itv player has not been working on android for over a week. ITV hub not loading on Samsung TV 26th march. Been using Hola for a while now. Refresh or ITV help does nothing. I just remembered that about a year ago I couldn’t access BBC iplayer for about a week. Then all of a sudden it started to work again through Hola. I think they change their site in a way that can’t be accessed through a free VPN. Then I think the VPN finds a way to work around the issue and the access returns. Just a thought. I will keep trying everyday hoping it will return before I miss the ending to Marcella. I can still watch ITV on my iPad and iPhone through the player app or on my computer through the website – but not on either Roku or Apple TV. If they’re trying to stop people watching through VPNs, it’s odd that the iPad app still works. I have sporadically been able to access the app if I switch to service through a VPN router that is set up to be in England, but – somewhat strangely – that only works sometimes. I also note that it’s no longer possible to stream video from the iPlayer to Apple TV – you can’t even mirror the output. Could it be that ITV is now reducing its free service everywhere and are moving toward a subscription only option? Just a thought. I can’t get ITV on my computer which I have done for years using a free VPN. Now it keeps giving me the pop-up ~Oops there seems to be a problem~. Either refresh or go to ITV help which, by the way, has not been helpful. Anyone else having this problem. I can access BBCiplayer no problem so it’s not the VPN. It’s been 2 days without The Street. What with issues of ITV HUB not playing now on old, (that’s a laugh) 2014 and 2015 sets and also problems now with ch4 also permanently stopped working, it makes me think if it is worth buying a SMART set next time. After two yrs sets now become out of date and I tend to hang onto mine for many yrs longer than this. My answer therefore is not to buy a smart set but a standard quality set and to purchase a “box” connecting to the set via HDMI. Hopefully the box should have all the channels for all the catch-up television and will not go out of date. If it does however I am only loosing the small cost of a connected box and not the functionality of my set. Is there any legal person out there to advise if the loss of functionality to our sets has any legal regress? You wont be able to get ITV hub or channel 4 Hub anymore. Certainly on 2014 and 2015 Panny sets this has been removed and now replaced with the ITV player which will not work on 2014 2015 Panasonic sets. Its amazing how products become outdated so quickly. So my Panasonic is now dumb TV. Redcar and Cleveland, LG tv. ITV addon not working on Kodi. East Anglia region. ITV Hub not working with Freeview through Panasonic TV. Utter rubbish service. I mean seriously rubbish inconsistent and appalling service. Not working on Samsung tv, Granada region. App frozen. Not working on my iPod March 10th. Why? ITV player not loading on LG smart tv in northamts NN6. All other tv Apps are working fine!! itv hub not working on my laptop since yesterday. keep getting ‘sorry this video is uavailable’. all other channels and bbc iplayer work fine. Works fine with Netflix, amazon, bbc player but not ITV Hub or All4. what the heck? Same problem on my Panasonic TV -ITV Hub no longer working on this device – WHY???? itv hub no longer working on my panasonic smart tv. i use freeview. why has it stated that it is no longer available on my device? I have same problem with Samsung Tab 2 10.1″ with 4.2.2 software which will not now play the ITV hub since it was upgraded about 10 days ago. Contacted Samsung tech guys who accessed my Tab via remote and tried to find and install a version of the player that would work. No success and he said to contact ITV. Contacted ITV who confirmed that min 4.4 was required and said I should ask Samsung for an updated android system. Just done that but I don’t hold out much hope of a positive reply. Will advise if I do. As noted elsewhere, it cant be long before BBC , Channel 5 etc players are also going to update their players so older android platforms wont be able to play these either. Seems ridiculous that I could probably get a part to repair a 1952 car but cant get a bit of software to run a 5 year old Tablet. No problem, our old tablets will just help to make the landfill problems greater !! My Samsung smart TVs no longer has ITV player either. Something needs to be done about this because it may be only a matter of time before all the catch up to apps go off if things are left as they are. Panasonic AX owner here. Really annoyed that I can’t get Itv player anymore!? Very poor! My ITV on demand service quit working on my two Panasonic smart televisions two weeks ago. Why? Every other channel on demand works why not ITV? Got the following message on my Panasonic Smart TV repeatedly today – This Service is Currently Unavailable. Please Try Later. Got the following message on my Panasonice tv this morning – no longer available on your device. Why has itv player stopped working on my Panasonic smart tv? My panasonic the same , no longer available on your device message !! does anyone have any idea how to resolve this ? I called ITV and Panasonic. It looks like itv has killed the hub off for many Panasonic tvs. Not working on my MacBook Pro thru your website…..
ITV hub has been off in Moray since at least the 20th Dec 2017. Wanting to watch 50 greatest moments of Harry Potter which was on ITV last night isn’t on the hub! Really want to watch it as I am a Harry Potter fanatic. ITV hub missing a lot of coronation street episodes ,last episode is the 15/12 -this is on a Samsung smart tv app. Mines exactly the same. Did you find a solution? My itv player is having issues. When watching live through the app it stutters and constantly repeats sections of the programme and skipping. My internet speed is not the issue, all other apps etc work fine. Does anyone what the 004 error is? Its got worse since you can no longer just scroll back to earlier time. Catch up ITV is in the dark ages and often programmes just freeze/end 3/4 of the way through. Yesterday there was nothing available – BBCiplayer knows the business & programmes are available much sooner – come on ITV get your act together! Goodbye ITV!!! Your so called useless Hub has gone from bad to totally unusable. Constant buffering, programmes stopping, voice and picture out of sync and no updates whatsoever on Jeremy Kyle or Wild at Heart catch up. Get you’re act together for crying out loud! Never used to have any problems, yet over the last few weeks it has just got beyond a joke. I have now uninstalled this pathetic waste of space and WILL NOT be watching ITV ever again. Congrats imbeciles on how to destroy a business!!! The latest episode of X factor is not available! When I open the ITV hub on laptop or Samsung tablet and click on any prog to catch up it says the video is not available. Why not? Its hub not worked for a couple of months on my kindle. Have tried to ‘re install it but still no luck. Help itv. Very frustrating. ITV hub not working tonight – 14/10/2017. Wasn’t working 2 days ago either but worked yesterday.! Variable or what??!! Can someone sort this problem please, can’t be doing with the unreliability. Does anyone from ITV catchup ever respond to these questions? I am being asked to log in with email address and password, forgotten password so click on this link and am told email will be sent to me to advise how to reset password. I have tried this now on numerous occasions but not had an email back. Click on itv hub help only to receive message that this Web page is unavailable! ! !